As a kit easy and quick to assemble. Only screwed together - done! To ensure sufficient accuracy and stability of the machine, the STEP CRAFT aluminum profile series has been developed. It consists of two different Linearachsprofiles and the cover profile. 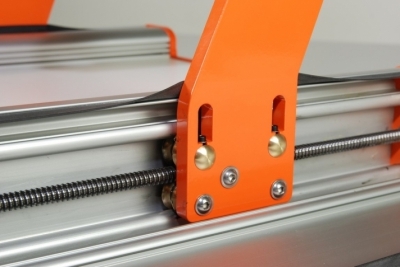 All other connecting elements consist of aluminum or stainless steel and together with the profiled structure they ensure the required rigidity. 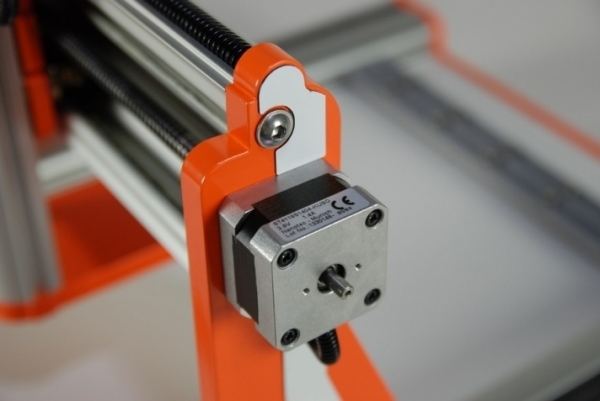 The stepper motors from Nanotec® have been carefully selected and specifically adapted to exactly fit the machine. The electronics have been specially designed to match the characteristics of the motors so that sufficient power for a reliable operation of the 3D system is ensured. The control software is provided from the the engineering company Lewetz. The program WinPc-NC was adjusted by reducing the range of functions specifically targeted to the needs of beginners and is known as a "starter" version of the desktop 3D system at. The machine is available as a DIY-kit or as a directly operational system. If you opt for the kit, you save money. The construction of the machine is designed so that you can simply build up the machine within a few hours without any special tools. Only screw together - done! The EasyBUILD installation instructions needs (almost) no text. The step-by-step instructions based on chronologically numbered instruction steps with graphic images of all intermediate steps. 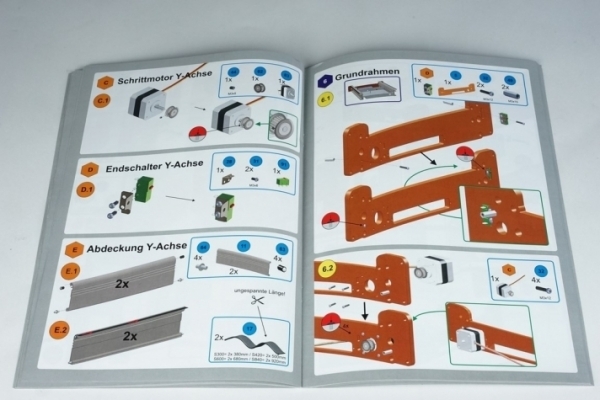 The last section always shows the finished assembly so that you can easily check your own result. The machine, whether as a DIY-kit or ready built machine, is supplied with all necessary components for operation: All necessary mechanical and electronic components, such as Power supply, connecting cable are included. Even the CNC-software is part of the delivery content. Not included are the system-based tools. Due to the 43mm collar a wide range of tools can be used. With optional adapters, you can also use Proxxon or Dremel tools as drilling-/milling spindles directly. Other drilling-/milling spindles up to a power limit of 1050 watts can also be used. Other system-guided tools, such as a drag knife, engraving needle or hot cutting system can be used optionally. 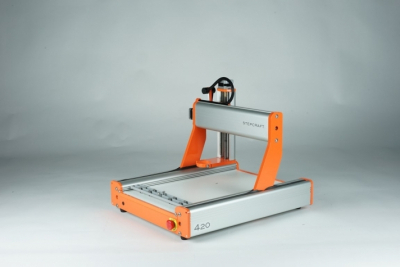 With the parallel interface of the STEP CRAFT 3D system can also use alternative CNC-software, such as Eding- CNC, CNC-USB, EMC2, Mach 3, and more. This article can be delivered for logistical reasons only by freight carrier. Therefore, the products can not be purchased through our store. Write to us. We will send you a customized offer incl. Transport costs.